FIFA.com takes a look at the major happenings in the world of Futsal over the last two months, including the organisation of courses in China PR, Germany, New Zealand and Tahiti. Elsewhere, CONCACAF, CAF, and AFC berths were assigned for the FIFA Futsal World Cup Thailand 2012, which is scheduled to take place from 1 to 18 November. From 11 to 13 May, the Chinese Football Association arranged a Futsal tournament that brought together the national sides of China, Japan, Iran and Romania. 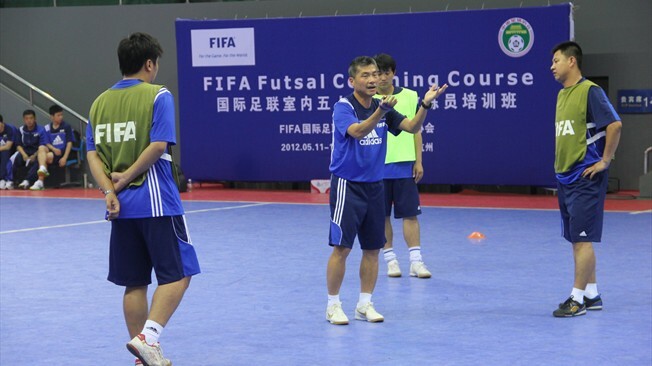 In tandem with the event, FIFA launched a training course for Futsal coaches, run by FIFA instructor Wai Chung Tsang, from Hong Kong – the first of its kind to be held in China. Miguel Rodrigo and Guilherme Silveira, national Futsalcoaches of Japan and China respectively, were both in attendance. The competition itself was won by Romania, with the Iranians claiming the runners-up spot. Overseen by Australian FIFA instructor Scott Gilligan, the first-ever FIFA Futsal coaching course was staged in New Zealand from 21 to 25 May, in Wellington. Gilligan was recently appointed coach of theNew Zealand national Futsal team. A few days later, it was Germany’s turn to play the role of first-time hosts, as Belgian Futsal expert Benny Meurs put coaches through their paces in a sports complex near Hanover from 29 May to 2 June. “Futsal is becoming ever more accepted in Germany and the interest in the game is growing,” said Bernd Barutta, head of amateur football at the German Football Association. Last but not least, Pierre Jacky, FIFA instructor and France Futsal coach, travelled to Tahiti to lead aFutsal training course from 25 to 29 June. Around 30 participants – coaches and players – attended the sessions, helping to boost development of the sport on the Polynesian island. At the end of May, the 2012 AFC Futsal Championship, a continental competition that doubles as a qualifying tournament for the FIFA Futsal World Cup, took place in Dubai, in the United Arab Emirates. It was Japan who emerged victorious, beating Thailand in the final, while Iran and Australia finished third and fourth respectively. These four countries, as well as quarter-finalists Kuwait, all secured slots at November’s global gathering. Africa’s representatives at Thailand 2012 have now also been confirmed. North Africa dominated the qualifying campaign, as Egypt, Morocco and Libya secured the three available berths. Finally, CONCACAF also combined its regional championship with qualifying matches for the FIFA FutsalWorld Cup. Costa Rica triumphed at the event, proving too strong for host nation Guatemala in the final. Joining these two sides as representatives from North, Central America and the Caribbean inThailand will be losing semi-finalists Panama and Mexico. A little further south, the inaugural South American Women’s Club Futsal Championship was organised by CONMEBOL in Asuncion, the capital of Paraguay. Brazilian outfit Chapeco pulled off a resounding 8-0 win over Paraguayan team Kurupi to claim the title. The 13th edition of the Intercontinental Futsal Cup took place in the Brazilian state of Rio Grande do Sul, featuring local side Carlos Barbosa, Argentinian club Boca Juniors, Montesilvano from Italy and Inter Movistar from Spain. The Brazilian hosts lifted the trophy, beating the Spanish outfit 4-1 in the final. Finally, Kuwait City was the venue for the 3rd annual AFC Futsal Club Championship in early July. Giti Pasand Isfahan struck another blow for Iranian football in Asia, overcoming third-placed Nagoya Oceans (Japan) and runners-up Ardus Tashkent (Uzbekistan) to secure the continental crown. 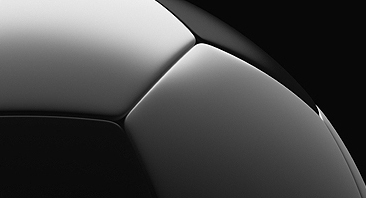 “Football and Futsal tournaments are organised in the same way in Spain. We’ve got national and regional competitions that help to improve players’ development. Futsal enables young players in particular to better prepare for 11-a-side matches. In Spain they start playing at the age of eight, and training is carried out in a progressive manner. Futsal helps football players to develop in the best possible way,” Jose Venancio Lopez Hierro, Spain Futsal coach. With the FIFA Futsal World Cup Thailand 2012 just around the corner, an array of development-related events are due to be held over the coming weeks, in practically all four corners of the globe. Between now and the end of August, New Caledonia, Venezuela, Costa Rica, Belarus, Japan andThailand will all be visited by FIFA instructors.